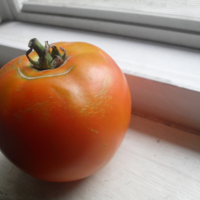 End of summer tomato harvest ripening on the windowsill. 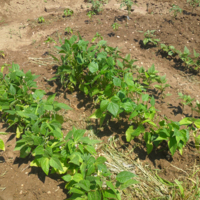 The first Raíces beans poking up out of the ground. 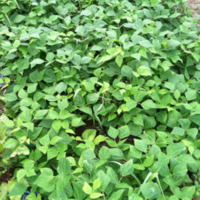 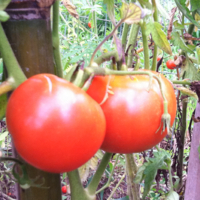 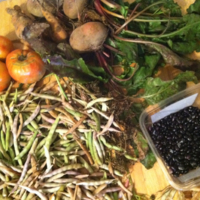 In the following year we would plant two kinds of red kidney beans, green beans, black beans and white beans. 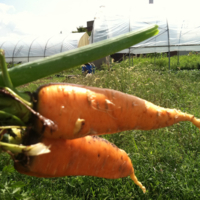 Summer harvest of carrots and green onion. 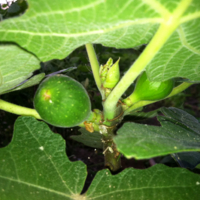 First fig fruits on our fig tree. 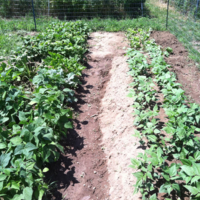 Beans were planted all over both garden plots. 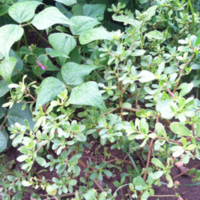 Purslane is known as a weed, but is edible and nutritious. 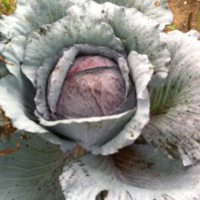 It is good raw, as in salads, as well as cooked. 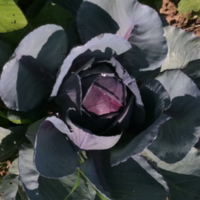 Red cabbage. 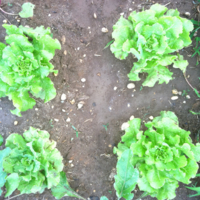 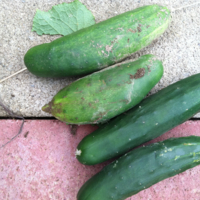 They grew so well, we plan to plant them again in 2012, plant an even greater amount and ferment them for homemade sauerkraut. 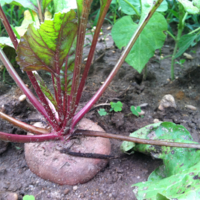 Beetroot, the leaves are also edible. 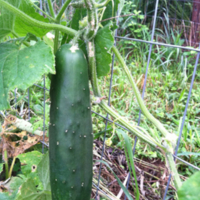 Cucumber growing on the vine. 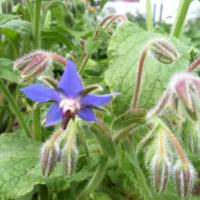 Borage, an edible flower with a taste similar to cucumber. 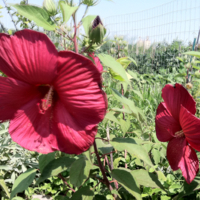 Hibiscus blossons-No flowers were harvested for tea in 2011. 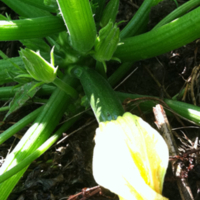 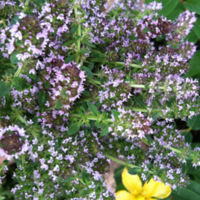 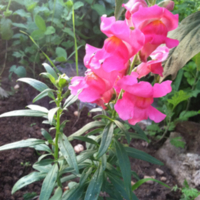 The plant had been recently transplanted and was left to grow naturally for the season. 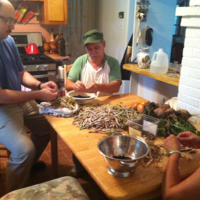 In 2012, we plan to dry the flowers for tea. 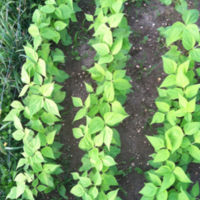 Black beans beginning to grow in the mound. 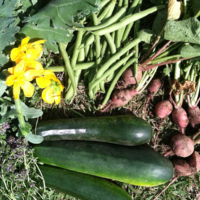 Harvest of cucumbers, kale, wild thyme, St. John’s wort flowers, radishes and green beans. 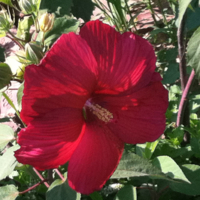 Hibiscus blossom-beautiful and good to dry for tea. 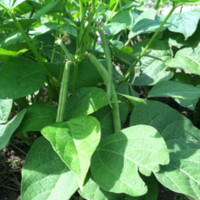 Cooling, refreshing and high in Vitamin C.
Green beans were planted every two weeks providing us with fresh, crisp, refreshing green beans all summer long.